One of the most common factors that people would often like to change about their home is the desire for more space. Whether you require additional storage, office space, or extra bedrooms, the addition of an extra room can not only transform your home and make it more functional to your requirements, but will also add a substantial amount to its resale value. Happily help is on hand from the loft conversion Wimbledon specialists, Berry Construction. There is no question that extending an existing home will more often than not be a far more appealing alternative to effectively starting all over again and searching for a larger house, but planning regulations and space restrictions can often make things more onerous. 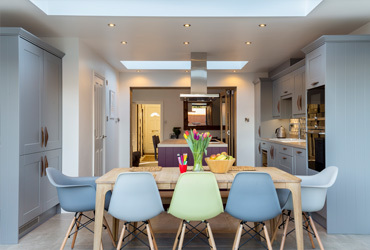 It's worth bearing in mind that if you are thinking of loft conversion, Wimbledon properties are prime for conversion and increasing the space can can enable you to make the most of your property with a lot less difficulty than an extension would incur. In Wimbledon, space is of course always at a premium and many properties quite simply don't have the additional space required to create an extension, yet many do have unused attic space that could be put to much better use. With a carefully planned loft conversion, a homeowner can build upwards without even having to change the appearance of their home. In the current market, more and more people work from home and a dedicated office space undoubtedly offers a huge benefit when it comes to remaining focused on your work and providing the best possible service to your customers. By converting your loft into a purpose-built office, separating work from pleasure is made simple, providing a healthy balance of business and pleasure. Unused roof spaces provide a wealth of opportunities and dependent on the space that you have available and your requirements, you can literally create all manner of living accommodation from additional bedrooms to independent living quarters. 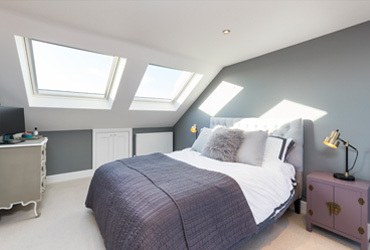 For many homeowners, a loft conversion will provide the opportunity to create a guest room, thus enabling the remaining rooms within the home to be more frequently used on a daily basis. Berry Construction provides the finest loft conversion Wimbledon has to offer and can transform your home into something you only ever previously dared dream about. 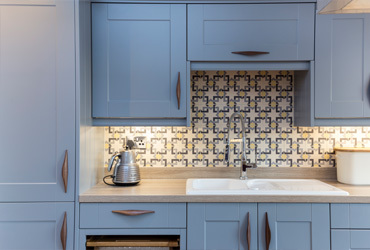 We pride ourselves on providing a high quality, specialised service and guarantee that by taking advantage of our expertise, there will be no room for disappointment.